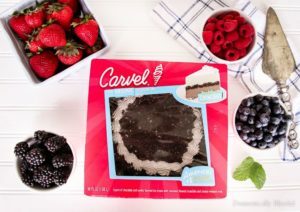 It only takes a few minutes to personalize a Carvel® Ice Cream Cake and the best part is that you can easily customize it for any occasion. 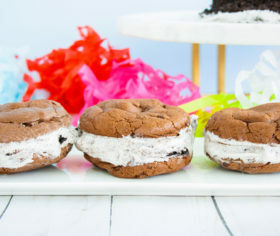 These ice cream cakes can be enjoyed on their own or with simple touches (like fresh fruit), added as a convenient, quick dessert solution for National Ice Cream Month, summer, or anytime you are looking for a special treat! 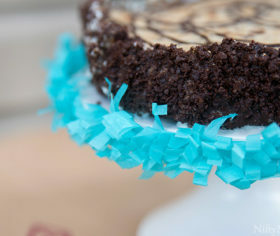 Here’s how you can personalize your very own Very Berry Chocolate Ice Cream Cake from Domestically Blissful with dark chocolate, fresh berries, & sprigs of fresh mint for any occasion! Melt dark chocolate melting chips according to package instructions. 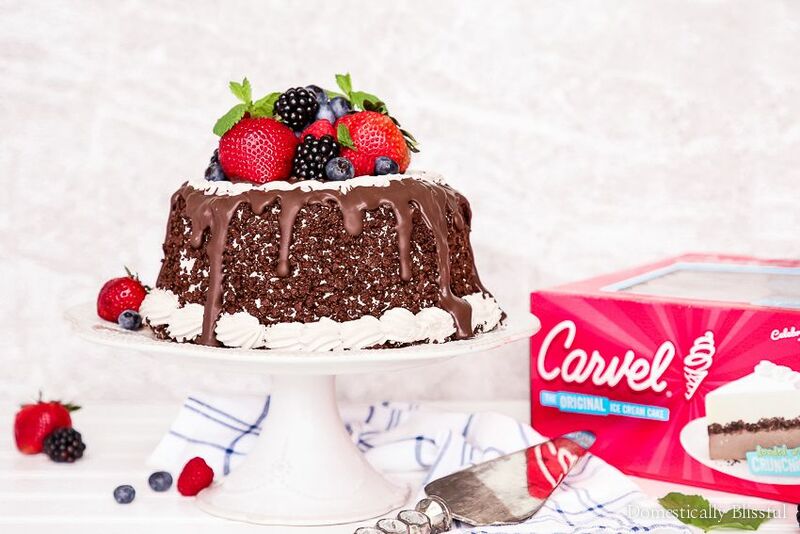 Remove the Carvel Ice Cream Cake from the freezer and remove from packaging. 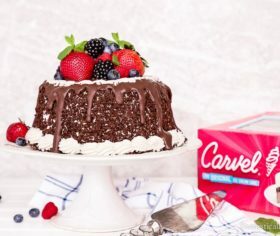 Pour melted dark chocolate over the top and down the sides of the Carvel Ice Cream Cake. Top with fresh fruit, mint, and any other beautiful toppings.